7.0 Earthquake hits the Andreanof Islands in the Aleutian Islands. No tsunami warning was issued, although authorities are monitoring conditions. 5.8 Earthquake hits Sichuan-Yunnan Border, China. The earthquake hit a mountainous area of south-western China on Saturday morning, killing at least four people and injuring 10 others. The quake also destroyed 600 residential units and damaged 55,500 others. More than 9,000 residents were forced to relocate. 5.7 Earthquake hits the Andreanof Islands in the Aleutian Islands. 5.5 Earthquake hits the Andreanof Islands in the Aleutian Islands. 5.1 Earthquake hits Sichuan-Yunnan Border, China. 5.0 Earthquake hits western Xizang, China. The plume of radioactive water in the Pacific Ocean generated by a leak in the Fukushima nuclear power plant crippled by the 2011 earthquake and tsunami will reach the U.S. by 2014, and could help scientists study ocean circulation. Kong-rey is losing its tropical characteristics as it accelerates northeastward over Japan while merging with a frontal system. Invest 98-E strengthened into Tropical Depression Eleven-E well southwest of Mexico late Friday night. Some slow development is possible over the next day or so before it moves over cooler ocean waters. Tropical Depression Eleven-E is no threat to land. WHO has been informed of an additional four laboratory-confirmed cases of Middle East respiratory syndrome coronavirus (MERS-CoV) infection in Saudi Arabia. Veniaminof (Alaska Peninsula, USA): A strong eruptive phase (paroxysm) with lava fountains and associated ash emissions reaching 15-20,000 ft (4.5-6 km) altitude occurred yesterday. This episode of activity, accompanied by elevated levels of continuous tremor, has so far been the strongest since the start of the eruption on 10 June. Tropical storm Kong-rey is located about 410 nm southwest of Sasebo, Japan. Three people in Taiwan perished as a result of heavy rains spawned by a destructive tropical storm. Tropical Storm Kong-Rey battered the island Thursday, dumping more than 500 millimeters (19 inches) of rain on the heavily populated west coast and causing widespread flooding. Post-Tropical cyclone Juliette is located about 205 mi (330 km) NW of Cabo San Lazaro, Mexico. The final advisory has been issued on this system. Tropical Storm Juliette blew through the Pacific Mexican tourist resort of Cabo San Lucas early on Thursday, killing one man. Juliette blew down trees and power lines as it blasted across the tourist resorts at the tip of Mexico’s Baja California Peninsula. The storm’s maximum sustained winds decreased to near 40 mph (65 kph) near midday Thursday after hitting 50 mph (85 kph) overnight. It was centered about 95 miles (160 kilometers) northwest of Cabo San Lazaro, but it was projected to weaken and curve away from land, into the Pacific. The storm flooded low-lying areas and collapsed at least one house. Much of the area is without power, including the communities of Todos Santos and Pescadero, as well as parts of Cabo San Lucas and San Jose del Cabo. Firefighters reported helping various people trapped in their cars on flooded streets. One man died because of an electrical shock in a neighborhood where people commonly draw power with jury-rigged, illegal taps into electricity lines. Emergency workers went door to door urging people in high-risk areas to go to shelters, but many refused. Landslide in La Chicharronera village in Honduras has claimed the lives of at least six children and injured two others Wednesday night. Heavy rain caused the landslide. The landslide site is located 93 miles north of the capital city of Tegucigalpa. Small tornado touches down in Livingston County, Michigan, USA. 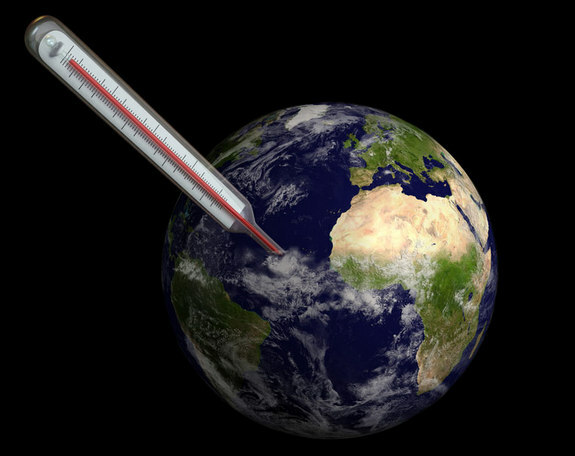 The week’s hottest temperature was 114.8 degrees Fahrenheit (46.0 degrees Celsius) at Akjoujt, Mauritania. The week’s coldest temperature was minus 108.2 degrees Fahrenheit (minus 77.9 degrees Celsius) at Russia’s Vostok Antarctic research station. 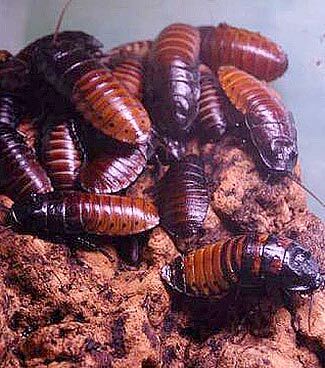 At least 1.5 million cockroaches escaped a breeding facility in eastern China’s Jiangsu province, infesting nearby farmland and homes. The province’s board of health investigators are at a loss on how to rid the region of the pests. Wang Pengsheng began raising the insects so their extracts could be used as a traditional Chinese medicine treatment for cancer and inflammation, and to allegedly improve immunity. He had been raising the roaches on a diet of fruits and biscuits when something destroyed the plastic greenhouses he was using for the enterprise. Local villagers were reported to be worried that the escaped hexapods would damage their crops and bring diseases. Local authorities were working to calm those fears. WHO has been informed of an additional two laboratory-confirmed cases of Middle East respiratory syndrome coronavirus (MERS-CoV) infection in Qatar. The number of Americans requesting exemptions for vaccinations is continuing to rise, a 2012 study found. 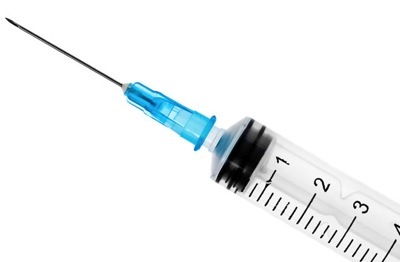 The current measles outbreak connected to Eagle Mountain International Church case in Newark, Texas, is a perfect example of how diseases that can be controlled through vaccinations are making comebacks in pockets, experts said. Before the outbreak, ministers had encouraged members to question vaccinations; they’ve changed their tune now that 21 people, including a 4-month-old baby, are sick. Vaccination rates vary throughout the United States, in part because each state has its own requirements for exemption. Outbreaks usually occur where there are clusters of unvaccinated people, Emory University vaccine expert Saad Omer said. So even if an overall vaccination rate is high (in the Texas county home to the megachurch, for example, the overall rate is about 98 percent), a disease can spread quickly throughout a close community such as a school or church with a pocket of unvaccinated people. Wildfires are continuing to affect Portugal with at least eleven still active in northern and central areas of the country. More than 1,000 firefighters and 250 vehicles are tackling the flames. Around 12.00 local some 500 firefighters are on site trying to tackle the blazes at Serra do Caramulo, with two active fronts, backed by 139 vehicles and five water-dropping aircrafts. Six villages are surrounded by fire. Some of the villagers lost their houses, corrals and cattle. One more female firefighter, 21, died today in the fire at Serra do Caramulo, while two others are seriously wounded and four are reported missing. In some areas, strong winds are feeding the flames of the forest fires. The French government is allowing two planes to stay in Portugal until September 3 to aid the relief effort. El Hierro (Canary Islands, Spain): Small earthquakes (mostly below magnitude 2) continue to occur frequently (10-20 per day), mostly under the central part of the island. Right now, this activity seems to be picking up, but it is too early to see if this evolves into another swarm. Manam (Papua New Guinea): Explosions occurred this morning, producing ash plumes rising to 8,000 ft (2.4 km) altitude, VAAC Darwin reported. Ijen (East Java, Indonesia): CVGHM reported that during 1 July-25 August diffuse white plumes rose 100-150 m above Ijen’s crater, the lake water was light green, and seismicity decreased. Dukono (Halmahera): VAAC Darwin reported an ash plume from the volcano at 8,000 ft (2.4 km) altitude yesterday morning. This might have originated from a larger than usual explosion. The rarely visited volcano is one of Indonesia’s almost permanently active volcanoes and often has strombolian to vulcanian activity. Ambrym (Vanuatu): A large SO2 plume is drifting NW from the volcano, where at least two lava lakes in the Benbow and Marum craters remain active. Veniaminof (Alaska Peninsula, USA): The eruption at the intracaldera cone of Veniaminof Volcano continues. The seismicity over the past 24 hours has been characterized by discreet episodic bursts of tremor, likely associated with lava effusion and minor ash emission. Satellite images of the volcano over the past 24 hours have shown prominent thermal signals at the intracaldera cone, although views of the volcano have been infrequent due to cloud cover. Popocatépetl (Central Mexico): Activity remains low with few (less than 1 per hour) weak emissions of steam and gas. Abundant SO2 output and glow at the summit indicate continuing lava extrusion. Santa María / Santiaguito (Guatemala): INSIVUMEH reports strong rockfall activity from the steep-sided lava flows, suggesting that several of them are being alimented at the moment. Strong degassing produces a steam column rising up to about 1 km above the dome. Pacaya (Guatemala): Weak strombolian activity and the effusion of lava flows continues. The activity can be seen from the capital and the coast. Fuego (Guatemala): The lava flows were no longer active yesterday morning. Activity consisted in weak to moderate strombolian explosions with incandescent material projected to up to 150 m above the crater, and ash plumes of a few 100 m height. Momotombo (Nicaragua): A swarm of quakes including a shallow magnitude 3.8 felt earthquake occurred yesterday morning (16:38 GMT) at 3.5 km depth under the NW flank of the volcano. There are no reports of other unusual activity at the volcano. Tropical wave midway between Africa and the Lesser Antilles downgraded – A tropical wave that came off the coast of Africa on Sunday is midway between Africa and the Lesser Antilles Islands. This disturbance is moving westward at 10 – 15 mph, has a modest amount of spin, but has lost nearly all of the limited heavy thunderstorm activity it had. Wednesday the National Hurricane Centre downgraded the 5-day odds of formation of this disturbance from 30% to 20%. The wave could spread heavy rains and gusty winds to the Lesser Antilles Islands as early as Sunday. A tropical wave expected to emerge from the coast of Africa on Friday and track over the Cape Verde Islands is developed by some models. This wave is expected to take a northwesterly track, and would likely not be able to make the long trek across the Atlantic to threaten North America or the Caribbean Islands. Tropical Storm Juliette formed in the Pacific Ocean about 130 miles (210 kilometers) southeast of the resort town of Cabo San Lucas, Mexico. On the forecast track, the centre of Juliette will continue to move near or along the West Coast of the southern Baja California peninsula early today. Juliette is expected to weaken to a depression tonight. Tropical storm Kong-rey is located approximately 49 nm east of Taipei, Taiwan. The outlook now calls for Kong-rey to deviate farther south than earlier forecast, skimming the east coasts of Kyushu, Shikoku and Honshu islands in Japan before exiting the Kanto Plain and dissipating Monday in the western Pacific. Kong-rey will weaken as it interacts with land and moves over cooler northern waters, passing 16 miles south of Yokosuka Naval Base at 5 p.m. Sunday, packing tropical depression-strength 35-mph sustained winds and 46-mph gusts. Landslides and flooding in Veracruz and Oaxaca have claimed the lives of at least 14 people. Landslide in Gold Rock in Yecuatla Township buried six homes with nine people inside. Landslides in Tuxpan and Atzalan claimed lives of four others. Fast-flowing flood waters swept away a man in Oaxaca. Flash flood in an underground cave in western Austria has trapped at least 27 hikers. The flood waters closed the entrance to the cave about 320 kilometres west of Vienna. Emergency crews are in voice contact with those trapped inside the cave, rescue officials said. Rescue workers further added that they are not in danger. Flash floods in Mali’s capital Bamako have claimed the lives of at least 24 people. Flash floods and heavy monsoon rains have battered Laos, killing at least 20 people, washing away roads and damaging crops. Declassified spy satellite imagery of Antarctica dating back to the 1960s has revealed that the world’s largest ice sheet may be more susceptible to climate change than once thought. East Antarctica reaches higher elevations than elsewhere on the continent and experiences some of the coldest temperatures on Earth, hitting well below zero degrees Fahrenheit throughout much of the year. As a result, a massive ice sheet has accumulated, measuring more than 2.5 miles (4 kilometers) thick in some regions, holding enough water to raise global sea level by more than 160 feet (50 meters) if it were to completely melt. Due to its thickness and high elevation, researchers have regarded the East Antarctic Ice Sheet as relatively stable and more resilient against climate change than the West Antarctic Ice Sheet, which sits much closer to sea level and experiences warmer average temperatures. Now, researchers from Durham University in the United Kingdom have used declassified spy satellite imagery covering the years from 1963 to 2012 to study changes in the outer margin of the East Antarctic Ice Sheet, and have compared these patterns with climate data from the region. The team has found that periods of expansion and retreat of the ice sheet’s glaciers, essentially rivers of ice, appear to correspond with periods of warming and cooling in the atmosphere within the past 50 years. 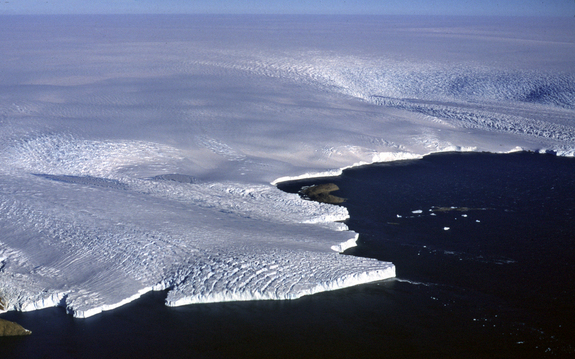 While the researchers did note periods of growth and retreat, they did not detect a notable net change in the size of the ice sheet during the study period. Future warming could, however, push the region into a more significant retreat phase that could potentially cause net reduction in ice thickness in the region, Stokes said. Cooling sea-surface temperatures in the tropical Pacific Ocean — a phase that is part of a natural warm and cold cycle — may explain why global average temperatures have stabilized in recent years, even as greenhouse gas emissions have been warming the planet, according to new research. The findings suggest that the flattening in the rise of global temperatures recorded over the past 15 years are not signs of a “hiatus” in global warming, but are tied to cooling temperatures in the tropical or equatorial Pacific Ocean. When the tropical Pacific naturally switches back into a warm phase, the long-term trends in global warming, including more steeply rising global temperatures, will likely increase, said study co-author Shang-Ping Xie, a climate scientist at the University of California, San Diego. In early May, a carbon dioxide monitor in Hawaii recorded the proportion of carbon dioxide in the atmosphere as being more than 400 parts per million (ppm) for the first time in human history, breaking a 3-million-year-old record. (Parts per million means that, in this example, for every million molecules of air, 400 of them are carbon dioxide.) But, over the past 15 years, global average temperatures have stabilized rather than sharply increased, as previous predictions suggested they should have, mystifying climate scientists and adding fuel to the fire for climate change skeptics. Xie and his colleagues set out to solve this mystery using climate models to reproduce the long- and short-term trends based on global climate records from the past 130 years. The researchers found that sea-surface temperatures in the tropical Pacific Ocean, in spite of anthropogenic or manmade effects of global warming, were key ingredients in creating the flattening global temperatures seen in the past 15 years. “In our model, we were able to show two forces: anthropogenic forces to raise global average temperature, and equatorial Pacific cooling, which tries to pull the temperature curve down, almost like in equilibrium,” Xie said. The effect is similar to the El Niño and La Niña cycles, which are parts of a natural oscillation in the ocean-atmosphere system that occur every three to four years, and can impact global weather and climate conditions, Xie explained. El Niño is characterized by warmer-than-average temperatures in the waters of the equatorial Pacific Ocean, while La Niña typically features colder-than-average waters. The warm and cool phases in the Pacific Ocean studied by Xie and his colleagues appear to last much longer than the El Niño and La Niña cycles. Previously, the Earth experienced cooling in the tropical Pacific from the 1940s to the 1970s, before oscillating into a warm state from the 1970s to the 1990s. Current scientific models are unable to predict when the current cooling period will end, Xie said, but when the ocean swings back into a warm phase, parts of the planet may experience warmer temperatures.